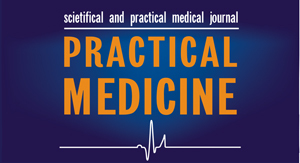 The editorial Board of the scientific journal «Practical medicine» adheres to adopted by the international community of the principles of publishing ethics, as reflected in particular in recommendations of the Committee on the ethics of scientific publications (Committee on Publication Ethics (COPE) and was also given the valuable experience of authoritative international journals and publishers. To avoid unfair practices in publishing activities (plagiarism, presenting false information, etc. ), in order to ensure high quality scientific publications, public acceptance of the obtained research results, every member of the editorial Board, author, reviewer, publisher, and institutions involved in the publishing process, are required to comply with ethical standards, rules and regulations and to take all reasonable steps to prevent violations. 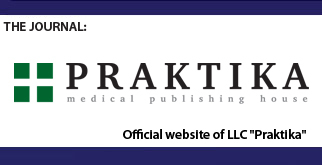 Compliance with the rules of ethics of scientific publications by all participants in this process helps to ensure the rights of authors in intellectual property, improve the quality of the publication and exception of possibility of illegal use of copyright material in the interests of individuals. 1.1. To promote fulfillment of ethical responsibilities of the editors, editorial Board, reviewers and authors in accordance with these requirements. 1.2. To support the editorial office to review the claims to the ethical aspects of published materials and help to interact with other journals and/or publishers, if it contributes to the fulfillment of the responsibilities of the editors. 1.3. To maintain the confidentiality of the authors and any information prior to its publication. 1.4. Be aware that the journal is not a commercial project and carries to profit. 1.5. To be always ready to publish corrections, clarifications, retractions and apologies when needed. 1.6. To give the editorial Board the possibility of excluding publications with plagiarism and false data. 1.7. Publisher (Director), reserves the right to reject the manuscript or require the author to improve it if it is decorated with violations of the Rules adopted in this journal and agreed with the Publisher. 1.8. The article, in the case of acceptance for publication, housed in open access; copyright is held by the authors. 1.9. To place information on financial support for the research, if the author of this information article leads. 1.10. Upon detection of a meaningful, grammatical, stylistic and other errors, the editorial Board shall take all measures to eliminate them. 1.11. Agree with the author make in the article editing proofreading. 1.12. Not to delay the issue of the magazine. 2.1. The authors of the article must provide reliable results of the conducted research. 2.2. Authors should ensure that the results of a study described in a submitted manuscript is completely original. Borrowed fragments or statements must be furnished with the obligatory indication of the author and source. Excessive borrowing and plagiarism in any form, including unregistered quotes, paraphrasing or assignment of rights to the results of other people’s research are unethical and unacceptable. Borrowing from other sources without references will be considered by the editorial Board as plagiarism. 2.3. The authors should provide in the manuscript only authentic facts and data; provide sufficient information for validation and repetition of experiments by other researchers; not to use information obtained in private, without written consent; to prevent the fabrication and falsification of data. 2.4. To avoid duplication of publications (in the cover letter the author should indicate that the work is to be published). If some elements of a manuscript have been previously published, the author is obliged to refer to earlier work and to indicate the differences from the previous one. 2.5. Authors should not submit the manuscript to the journal, which was sent to another journal and is under consideration, as well as articles already published in another journal. 2.6. It is necessary to recognize the contribution of all persons somehow influenced the course of the study, in particular, the article must be submitted references to the work that had value in the research. 2.7. Authors must follow the ethical standards, acting with criticism or comments concerning the research of third parties. 2.8. The co-authors of the article should include all persons who have made a significant contribution to the study. Among the sponsors is unacceptable to designate persons who did not participate in the study. 2.9. The authors must respect the work of the editorial Board and reviewers, and to eliminate these disadvantages or arguments to explain it. 2.10. Authors should submit and register the manuscript according to the accepted log rules. 2.12. The authors should provide the editorial Board or the publisher of proof of the correctness of the original article or to correct errors if they are the editorial Board or the publisher has learned from third parties. 3.1. Manuscript received for review must be treated as a confidential document that cannot be transmitted for familiarization or discussion to third parties, does not have any permission from the editor. 3.3. The reviewer should draw the attention of the editor-in-chief(and/or his Deputy) on substantial similarity or overlap between the manuscripts evaluated with any other work, as well as the lack of references to principles, conclusions, or arguments previously published in other works or other authors. 3.4. The reviewer should note the relevant published works that are not cited (in the article). 3.5. The reviewer must give objective and reasoned assessment of study results and clear recommendations. Personal criticism of the author is unacceptable. 3.6. Comments and suggestions of the reviewer should be objective and principled, aimed at improving the scientific level of the manuscript. 3.7. The reviewer should make decisions based on the specific facts and produce evidence of its decision. 3.8. Reviewers are not allowed to make copies of manuscripts for their needs. 3.9. Reviewers are not entitled to take advantage of knowledge about the content prior to its publication. 3.11. Review the article confidential. The name of the Reviewer know the Executive Secretary and editor of the journal (and/or his Deputy). This information is not disclosed. 4.1. When deciding on the publication of the chief editor of the scientific journal is guided by reliability of data presentation and scientific importance of the work. 4.2. Editor should evaluate manuscripts for their intellectual content regardless of race, gender, sexual orientation, religious belief, ethnic origin, citizenship, social status or political preferences of the authors. 4.3. Unpublished materials disclosed in a submitted manuscript must not be used for personal purposes or transferred to third parties without written consent of the author. Information or ideas obtained while editing and related to possible benefits must be kept confidential and may not be used for personal gain. 4.4. The chief editor should not allow the information to be published if there is sufficient reason to believe that it is plagiarism. 4.5. Chief editor of its activities is obliged to: – constantly improve the journal; to follow the principle of freedom of expression; – strive to meet the needs of readers and authors; – to exclude the influence of business interests or policy decisions on the publication of materials; – make the decision to publish the materials according to the following main criteria: the manuscript fits the scope of the journal; the relevance, novelty and scientific significance of the submitted article; clarity; reliability of results and completeness of conclusions. 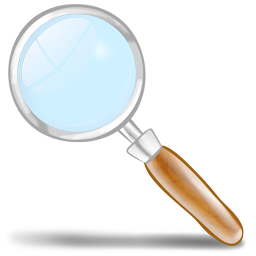 The quality of the research and its relevance are the basis for the decision on the publication; – to take all reasonable measures to ensure the high quality of published materials and protecting the privacy of personal information; – to consider the recommendations of the reviewers in making a final decision on publication of the article. The responsibility for the decision on publication lies entirely on the editorial Board of the journal; – to justify its decision in the case of adoption or rejection; to provide author the opportunity to justify their research positions; – when changing the composition of the editorial Board not to overrule the decisions of the previous publication of the material. 4.6. The main editor together with the publisher should not leave unanswered complaints concerning the considered manuscripts or published materials as well as in any conflict situation, to take all necessary measures to restore violated rights. A conflict of interest to prevent violation of the publication ethics should eliminate the conflict of interest all parties involved in the publishing process. A conflict of interest arises when the author, reviewer or member of editorial staff have financial, scientific or personal interests which may influence their actions. Such a relationship is referred to as dual commitments, competing interests or competing allegiance. In order to prevent conflict of interest and in accordance with accepted ethical standards of the journal to each of the parties have the following responsibilities. The editor is obliged to: – send the manuscript for consideration to another member of the editorial Board if the originally assigned reviewer has a conflict of interest with the author of a submitted manuscript; – ask all participants in the publishing process information about potential conflicts of interest; – make the decision to publish the information specified in the author’s letter concerning the conflict of scientific and / or financial interest if it is not confidential and can influence the assessment of published work by the reader or the scientific community; – ensure the publication of a correction if the information on conflict of interest was received after the publication of the article. The author is obliged to: – indicate the place of the work and the source of funding for the study. The reviewer should: – report editor-in-chief about the presence of conflict of interest (dual commitments, competing interests) and to withdraw from reviewing the manuscript. Violations If you encounter a situation involving a violation of publication ethics on the part of editor, author or reviewer, it is obligatory investigation. This applies to both published and unpublished materials. The editorial Board should require clarification, without the involvement of persons who may have conflict of interest with one of the parties. If the material contains significant inaccuracies, was published, it should be immediately fixed in a form accessible to readers and indexing systems. Section prepared according to publishing scientific and medical literature Elsevier and materials of the Committee on publication ethics (COPE).